Yes, Aquin has a hockey team! There are 4 boys playing with the Monroe Avalanche Co-op team which is a Wisconsin High School Team. Tonight the boys will be on the ice at Sauk Prairie starting at 7:00pm. Go Avalanche DAWGS--Dennis, Danny, Jeffery and Colby! Get the stats, schedules and standings here! THE NEXT CHAPTER BEGINS AT HOME TONIGHT! 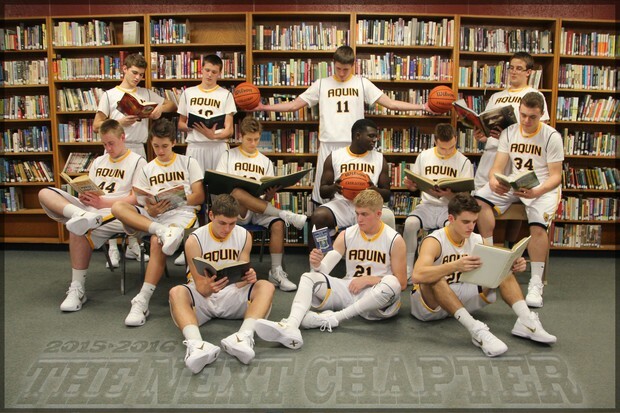 Aquin Boys Basketball tips off Conference play tonight as they host the Bulldogs from Durand. 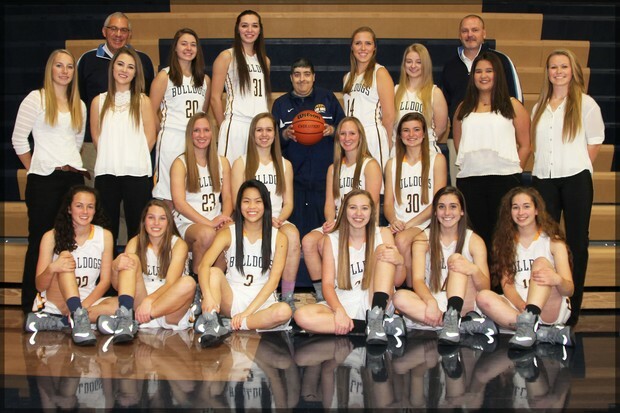 Coach Martin has dubbed the season as 'The Next Chapter' with plans to build upon the very successful basketball foundation established by Coach Rich Chang. Fresh-Soph starts at 6:00 with Varsity to follow at approximately 7:30pm. The Aquin Super Fans have declared tonight as 'Tourist Night' so pack your bags and get ready for the ride as the boys 'Uphold the Blue and Gold'! Your Aquin Varsity Lady Dawgs posted a 2nd place finish at the Dakota Turkey Tourney and have notched 2 wins at home this week. The Ladies head to Pecatonica tomorrow for early games starting at 3:00pm. Keep up on all your Dawg and Avalanche results on on 'Gameday!' page here!